Post any upcoming races here. Hey everyone. 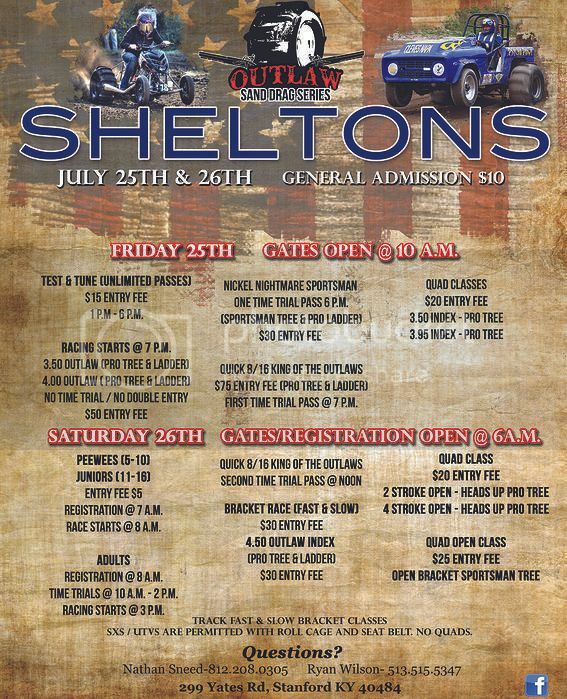 Don't forget that there is a race at Sheltons on July 25th & 26th. Hope to see everyone at the outlaw race this weekend!! It's not to late to join individual and team points!! Hope to see everyone there! !